Nestled in the heart of Taupo’s popular Bird Area, Tui House is just a stones throw from the shores of beautiful Lake Taupo. With three-bedrooms and two bathrooms, you'll enjoy the comforts of home including a private BBQ courtyard, gas heating, Sky TV (including Movies and Sport), Wi-fi and a double garage with internal access. 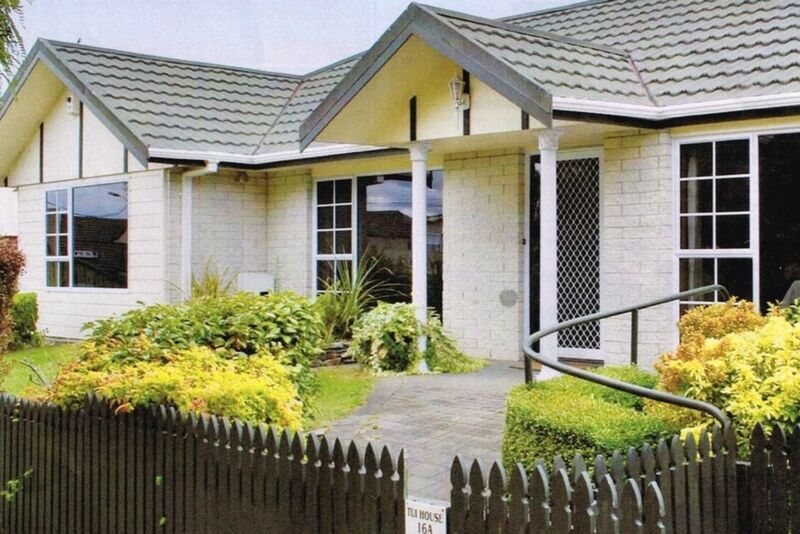 Centrally located, guests can enjoy a 10-minute walk to the Taupo town centre. Cafes, restaurants, dairies and a children’s playground are all within walking distance and a popular swimming beach is just metres away. Ideal for both families and groups the spacious lounge and formal dining area offer street views, while a quiet and warm sunroom is the perfect place to curl up with a book. Enjoy the last of the afternoon sun in a cobbled courtyard with BBQ facilities. Full kitchen and laundry facilities ensure a comfortable stay with linen available for hire. This fully fenced property is wheelchair friendly and offers a peaceful environment in which to enjoy your stay in Great Lake Taupo. Check-in 2pm and vacate by 11am. All sporting weekends and Public Holidays are at the peak rate. Special rates will apply to the Cycle Challenge and Ironman events. Two night minimum at peak times, otherwise one night. Same day bookings accepted. A 30% deposit is required on confirmation of booking and payment in full 10 days before arrival. Guests to please clean up and leave house tidy . We really enjoyed our stay in this house. It was clean, spacious and had everything we needed. A lovely and quiet area and well located for going into town and enjoying the lake. Nice big garage for storing our bikes and keeping them out of the way. Highly recommend. Felt at home instantly. Had everything we needed, in a great spot close to town and the lake. Immaculately clean, with lovely beds and linen. Fantastic place to stay. Well equipped and comfortable, and excellently placed a very short walk from the lakefront. Excellent locatoon, great house with all the amenities you could want. Property very spacious and comfortable. Property very spacious and comfortable. It seemed to have everything we need. Great location near lake and within walking distance to town.